Messiest house in Britain ? THE MESSIEST home in Britain may well have been found, with images from inside the property revealing shocking scenes. 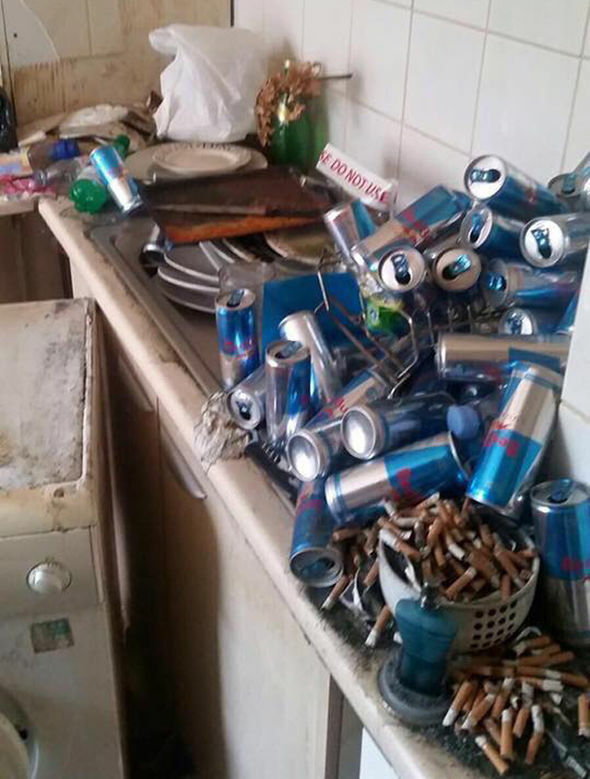 Revolting photos show the house in a state of disarray, with mountains of cigarette butts, empty cans of Red Bull and takeaway boxes. The home, which is in Plank Lane in Leigh, Greater Manchester, is believed to have been left in a state by squatters. 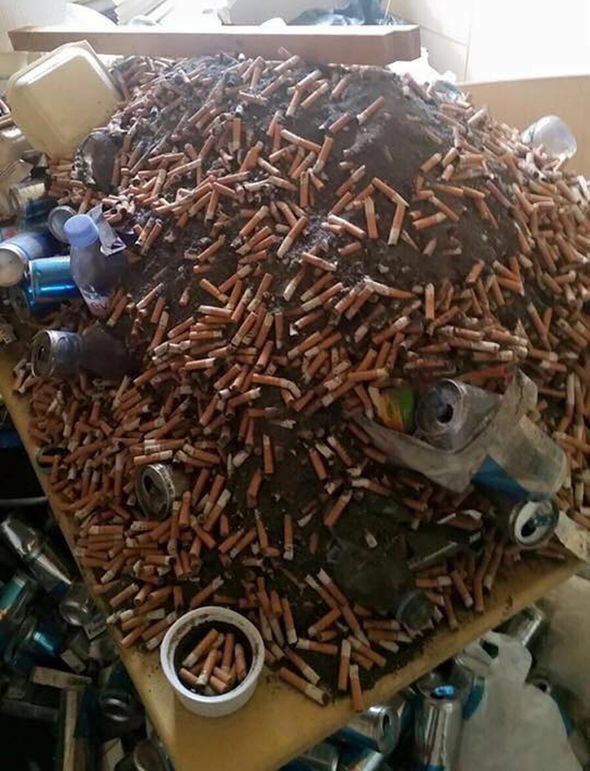 Photographs were shared on social media in a local community group and reveal a pile of cigarette ends covering the kitchen table. Takeaway boxes and yet more cans and bottles stick out of the pile. 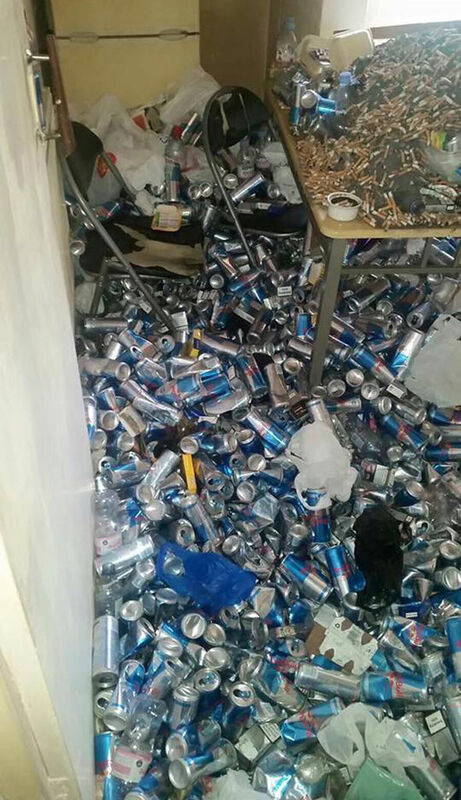 The kitchen floor is difficult to see thanks to hundreds of cans, bottles and plastic bags. Images of the kitchen sink show piles of dirty plates stacked on top of each other. Even if they had been washed, there would be nowhere for them to dry, as the drying rack is covered in Red Bull cans and more cigarette ends. It is thought the house has been empty for several weeks. The person who took the photographs said they wandered in after seeing the door open, but quickly left due to the appalling smell coming from inside. Homes in the UK often surprise viewers expecting something different from the look of the exterior – although usually in a good way. One home in Blackburn shocked house hunters thanks to its impressive inside. The four bedroom house is being sold via Zoopla for £425,000. The home, situated on the gated estate Brockhall Village, is immaculately presented and is said to be the perfect size for any growing family. Situated in close proximity to the amenities of Blackburn, Whalley and Langho as well as being within the catchment area of well known schools, the property offers two sizeable reception rooms, a converted garage which has been split into an office and a gym, a dining kitchen and fur double bedrooms. But the property also offers much more than your standard family home.